A trip to the casino can be a fun and thrilling experience; you get to play fast-paced and exciting casino games all while casino staff keep supplying you with bright smiles and free drinks. It’s easy to see how you can get so caught up gambling on the casino floor that you wouldn’t even notice the amount of time or money spent. If you are a casual gambler, you may think that gambling is all about luck, however you would be surprised to find out just how the decks are stacked, how the odds can change with just a little bit of skill, and the various tactics casinos use to keep the odds in their favor. In fact, there are many methods that land-based casinos will utilize to increase their bottom dollar, many of which they don’t want you to know about. As online casinos and online gaming establishments continue to grow in popularity, land-based casinos must continue to come up with new ways to keep players at the tables. 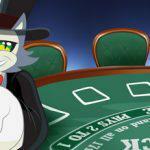 Lucky for you, CoolCat Casino has put together a quick list to get you prepared for your next visit to Vegas or your nearest casino. From the truth about casino perks, the psychology of casino chips to or the dangers of sucker bets and hidden fees; here are the top ten things that casinos don’t want you to know. It’s time to take a look! Many casino newbies might not be aware of this trick, and casino staff will not immediately suggest it. Did you know that sometimes all you need is an extra $20 and a polite smile, and you could get an instant upgrade just by asking? After all, casinos are businesses, and any good business values its customers. When it comes to the hospitality industry, hotel and casino staff are willing to dish out upgrades at no additional cost within reason; if they feel it will benefit their business. Do you know that these establishments will go to great lengths to keep their clients satisfied, especially if it will encourage them to gamble more? If it is your birthday, mention it. If you are at the casino for an anniversary, go ahead and let the casino know. Tell a white lie and mention how you had a lousy time in Vegas during your last visit to the nearest casino. You might just find yourself getting a room upgrade, additional amenities, free meals or even chips for table games. Although there is never any guarantee that you will receive coveted upgrades, it still does not hurt to ask. After all, you have nothing to lose. It’s the oldest trick in the book, but a sure-fire tactic to get you gambling and to keep you playing is by loosening your inhibitions with alcohol in your system. Casinos love to have their gamblers feeling good by providing them with free alcoholic drinks. One of the first things that you will notice on any Vegas trip are the colorfully dressed cocktail waitresses busy making rounds getting punters hammered. It is the best way to get players to take more risks, bet big, and not hesitate about parting with their bucks. This might seem like a cruel ploy, but it’s the simple truth, and an extremely effective business model. Did you know that casinos have been doing it for years? It’s a cost effective method to keep gamblers gambling, even if they’re losing. More importantly, it can force smart, skilled players to gamble sloppy, thus reducing their chances of winning. Many people will tell you that casinos function as giant mazes designed to keeping you trapped in a zigzag of slots, table games and a buzz of activity. You might have heard things like table games are never close to the casino restaurants or that ATM machines are located on separate floors or nowhere near exits, etc. This is true when it comes to older casinos, however industry standards have changed, and many now consider this design outdated. A newer, more effective layout is making waves. Famed interior designer and artist Roger Thomas, whose works include the interiors of the Wynn Las Vegas, Encore Las Vegas and the Bellagio, has revolutionized casino design with his floorplan known as the playground layout. This casino layout is a major overhaul of the older “maze” concept and completely dissolves complicated casino grids meant to trap visitors. Thomas’s design no longer utilizes the absence of clocks and windows, and instead openly welcomes such features. The playground layout is rapidly becoming the norm for all new casinos, especially on the Vegas Strip; featuring high ceilings, open floorplans, easy to navigate casino floors, large windows that allow for natural light. Do you know the reason for the overhaul? Research shows that this type of more inviting casino floorplan allows gamblers to relax, feel more comfortable, and ultimately gamble more. 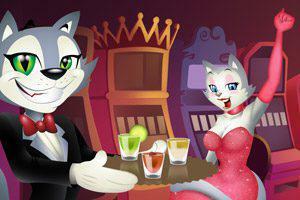 You don’t have to worry about crowded casino floors at CoolCat Casino, we’ve got all of your favorite card and table games and we bring them right to your door. Be sure to check them out to play free or to win real money! Did you know that each time you visit your nearest casino they require you to use chips instead of straight cash? The answer is simple: it boils down to human psychology. Colorful chips, each marked with a casino’s logo and monetary denomination in tiny print, give the effect that you are not gambling with real money. Casino gamblers are likely to wager more when using casino chips, simply because they have an artificial quality, which removes players from the reality of playing with real money. Once you’ve made the trip to the cashier’s window to exchange your money for chips, you are actively participating in the ritual of gambling. This adds an additional element of fun to the casino gaming experience. Losses seem less distressing on table games when playing with chips. 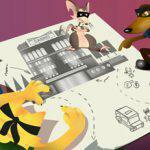 There is an additional, more practical reason why most casinos utilize chips, security. Most modern casinos use RFID (radio frequency identification) technology in their chips, which functions as an additional security measure against theft. If the chips are stolen, they can be deactivated and made unredeemable for cash. Your nearest casino, like every casino, has a list of games and wagers that have the worst odds for players. Casino insiders will do everything in their power to get you to play such games. These are “sucker bets”. Sucker bets are the machines and games on a casino floor that make the biggest noise and have the brightest lights, luring players with massive jackpots and whopping payouts. Unfortunately, slot machines are no exception. Slots that offer progressive jackpots, Keno lotteries, the Big Six Wheel, the tie bet in Baccarat, side bets in Pai Gow, Video Poker penny machines that promise a 100% payout, just to name a few, are some of the sucker bets found on your nearest casino floors. Ultimately, such wagers are designed to do one thing: take money from the inexperienced gambler. Sure, anyone can win on these machines, but chances are low. 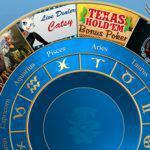 Did you know that you are better off investing your time and money learning to play table games? Such efforts will ensure a more reliable and consistent chance of winning big gambling. The number one thing that any seasoned gambler will tell you is to take advantage of a casino’s perks and complementary rewards. These incentives will sweeten your stay at your nearest casino. What casino staff might be hesitant to mention is that the primary function of perks are not to keep gamblers happy. 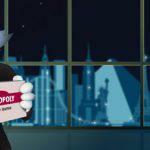 They are calculated to keep players at the casino, incentivizing them to stay and gamble. Whatever casinos give away, they are sure to get back eventually. 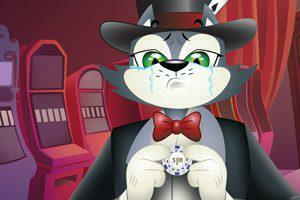 Did you know that the more money you lose gambling, the more a casino will reward you? Casinos don’t exactly like it when you win big, and prefer that you stay on the casino floor after a big win occurs. The truth of the matter is that casinos are businesses; ultimately, no business wants to lose money. However, you as a player can gain the upper hand. 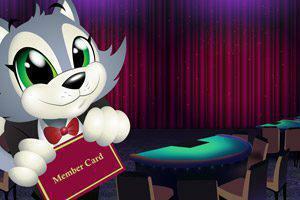 Unlock all the special offers that you can, and participate in rewards or member cards to retain bonuses. These are especially useful for online casinos, which have practically zero overhead costs in comparison to land-based casinos. Interestingly, in some cases, purchasing chips from a Cashier is enough to gain the interest of casino workers. In other words, you don’t necessarily have to gamble your chips before receiving perks. Discounts can be given to players just for signing up or participating. 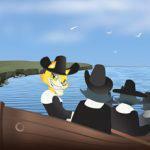 Keep that in mind next time you visit your nearest casino or land-based table game. It’s no mystery that when you step foot inside your nearest casino, the odds are against you. However, you might be surprised to learn what various factors affect the odds, and how casinos will utilize these aspects in order to turn the advantage in their favor. In addition to the sucker bets mentioned in the previous paragraph, players should keep in mind the table rules for popular table games like Blackjack for instance. Some casinos will allow the dealer to hit on “soft 17”, which increases the house edge. In other cases, the house might allow the dealer to keep your wager on a push. However, skilled players know that some of the aspects of casino gambling to get players at a disadvantage can be used in a player’s favor. For instance, did you know that you have a stronger percentage of winning playing European roulette instead of American? If you are in Europe, many casinos will utilize the “en prison rule”, which lets you keep half your wager if the ball lands on zero. Also, despite popular belief, “card counting” is legal. Unfortunately, casinos frown upon it and can deny service, but if utilized correctly, card counting will practically drop the house edge in Blackjack to zero. Your best bet in Baccarat is the banker bet even with the 5% commission. Unlike in online casinos where games utilize RNGs, for land-based casinos players can find weak or sloppy dealers, and can utilize techniques such as “edge sorting” and “card holding” to win. Gambling facilities bring in billions of dollars each year, so it should come as no surprise that the world’s top casinos invest fortunes to keep their money safe. From state of the art surveillance and facial recognition technology to hundreds of cameras and casino personnel, you can rest assured that “Big Brother” is always watching the moment you step foot inside of casino. For instance, the MGM Grand Casino in Las Vegas uses over 2,000 cameras to monitor its players, guests, staff and floor activity. Some hotel-casinos even utilize heat sensors to detect potential changes in players’ body temperatures for those engaging in potential foul play. Many casino cameras incorporate HD resolution allowing security personnel to not only see the action at the table games, but also to read cards in detail! These technologies prevent cheating and can even measure players’ skill levels. Many casinos employ in house IT experts known as “white hat” hackers who help prevent cyberattacks on their security systems. State of the art gaming machines come equipped with the newest encryption software, making them virtually impenetrable to attack. Casino security is so advanced, that the only fear casino owners really have is of staff collusion. Many casinos also use an algorithm known as N.O.R.A., which stands for “non-obvious relationship awareness”. N.O.R.A. is capable of analyzing personal data to stop any plans of potential cheating in its tracks. The moment a player sits down at a table game, the computer can sort through a very large amount of data in order to determine if a player and dealer have a shared history, including phone numbers, shared addresses or hotel rooms. Top-tier casinos cost a fortune to run; the nicer the casino you visit the greater your expenses will be. One such aspect that will affect your budget, and one that casinos are not willing to discuss up front, are the hidden fees, also known as “resort fees”. These are daily charges added to your bill upon checkout. They can include anything from Wi-Fi or shuttle services to copies of the newspaper or phone hook-up and mini-fridge fees. At a minimum these fees can range anywhere from $30-100 per night and in some cases can be much higher. Some casino restaurants also have what add a “CNF franchise fee”, which will charge an additional tax on your final bill simply if a restaurant is in a prime location, like the Las Vegas Strip for instance. It is always a good idea to check in advance with casino staff before you decide to book. After a lengthy holiday at a casino resort, the last thing you want are added hidden fees that add up to break the bank. Let’s be honest, all land-based casinos are designed to do one thing, make money. The only way to accomplish this is by keeping players at the casino, and to keep them playing. In order to get you to gamble in the first place, a casino needs to have your attention. By making a casino an entertaining and unforgettable place to visit in the first place, you are more likely to come back and gamble more. It is all about the spectacle and more importantly the experience of visiting a casino. Think about it. Have you ever been to a casino that was boring? Was it lacking something? The top casinos of Las Vegas are much more than just venues for gambling, they are resorts with incredible food, music, endless entertainment, live events, nightclubs, and stellar accommodation all rolled into one. Oh yeah, and gambling. The entire atmosphere of a casino is designed to seduce you into playing. The constant stimulation, bells ringing, bright, flashing lights and blaring sirens are meant to give the visitors the idea that everyone is winning. Even as people are losing money, the spectacle is designed to attract people to join in and play. The best casinos even go so far as to pump particularly pleasant fragrances throughout their establishments in order to induce a sense of relaxation and comfort during play. Did you know that the Bellagio has a signature scent, we don’t know what it’s called, but it supposedly smells like northern Italy. Casinos are willing to spend billions to construct premier gambling destinations, and the glitz, glamor, incredible casino game selections, endless entertainment and first-class service is all designed to make you feel like a winner. If you haven’t already noticed, we have restricted our list to land based casinos, which is one reason why online casinos are the way to go! 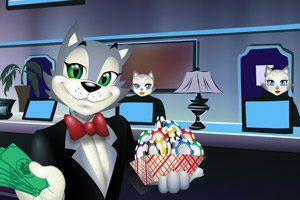 Did you know the CoolCat Casino has over 220+ spectacularly cool games to choose from, all available on your PC, Mac or mobile device. You can get started right away by signing up for a free account, or by making a minimum deposit to win real money. You don’t have to worry about spilled drinks, rowdy gamblers, nosy pit bosses, expensive food or even a long haul with the family from the airport. Heck, you don’t even so much as have to put gas in the tank of your car to visit the nearest casino. 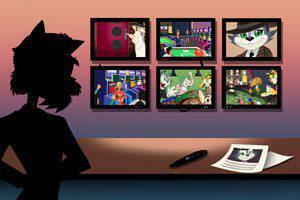 The beauty is that CoolCat Casino lets you enjoy online casino gambling from the comfort of your home! All of your favorite online casino games are available from Poker to Blackjack, Roulette to Craps, exciting slots and many more! 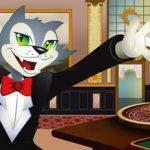 Sign up with CoolCat Casino to play today!